The development of highly active anti-retroviral therapy (HAART) for HIV infection in the 1990s is one of modern medicine’s most dramatic success stories. Once effectively a death sentence, HIV infection can now be considered a serious, but largely manageable, chronic condition. Today, a person who begins HAART can reasonably expect to live another 30 to 50 years, and often well into older age. This remarkable success has brought with it a new set of challenges, however, for patients and health professionals. Even when their disease is well controlled, people with HIV can develop aging-related conditions such as cardiovascular disease, certain cancers, kidney and liver disease, osteoporosis, and cognitive impairment decades ahead of their HIV-negative counterparts, and their life expectancy is significantly reduced. The health needs of the increasing number of HIV-positive Americans who are reaching older ages have become a significant public health issue. The NIA supports research to help better understand and address the needs of older people with HIV, including basic studies comparing changes at the cellular, organ, system, and individual levels associated with both aging and HIV. Researchers believe such research may lead to improvements not only in the treatment of HIV but also in the treatment of other age-related diseases and conditions. According to the Centers for Disease Control and Prevention (CDC), the ranks of those over age 50 living with HIV are rapidly increasing. 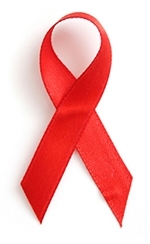 In 2009, 32.7 percent of people with diagnosed HIV infection were age 50 and over, compared with 17 percent in 2001. As soon as 2015, the CDC projects, more than half of all HIV-infected Americans will be over 50 years old. The emergence of HAART is a major driver of this increase, but at the same time, the number of new HIV cases in this age group is increasing. According to the U.S. Administration for Community Living, some 17 percent of new cases of HIV are among older people. “There’s a certain misperception out there,” notes Dr. Basil Eldadah, acting chief of the Geriatrics Branch in NIA’s Division of Geriatrics and Clinical Gerontology. “Older people may believe that HIV is a young person’s disease. But older adults—and the healthcare providers who take care of them—should remember that the risk factors for getting infected with HIV are the same for older individuals as they are for younger adults. The reasons behind the increased risk for HIV-related comorbidities in older patients are not well understood. Researchers hypothesize that virally mediated changes in the immune system lead to a compression of the aging process, resulting in an earlier-than-average onset of age-related chronic disease and frailty. These changes to the immune system are similar to those seen in very old—but otherwise healthy—people. “There are several similarities between the immune systems of very old individuals and those with HIV infection,” said Dr. Rebecca Fuldner, program officer in the NIA Division of Aging Biology. For example, T cells, which play a key role in immune function, become dysfunctional in both groups, meaning that the immune system has trouble recognizing and responding to invaders. Like advanced age, HIV infection is also associated with chronic, low-level inflammation throughout the body, which is in turn related to a number of health conditions. HAART itself is associated with an increase in visceral fat, which secretes inflammatory proteins into the bloodstream, and damage to the mitochondria, also linked with increased inflammation. “The link between aging, HIV, and inflammation is an interesting one,” said Dr. Fuldner. “It raises the possibility that a treatment for one of these conditions may have a positive effect on the others.” For example, anti-inflammatory drugs that are often prescribed to otherwise healthy older adults—including aspirin, omega-3 fatty acids, vitamin D, and statin drugs—are currently under study as adjuncts to antiretroviral therapy in younger HIV-infected individuals and may eventually be tested in older individuals as well. NIA supports several projects on the immunology of aging and HIV. For example, one study is looking at the ability of HIV infection to induce cellular senescence, as well as the effects of HAART on cellular senescence; another study has identified several potential biomarkers of immune status in people infected with HIV. HIV and its treatment can have profound effects on the brain. Although AIDS-related dementia, once relatively common among patients, is now rare, researchers estimate that more than 50 percent of patients with HIV have an HIV-Associated Neurocognitive Disorder (HAND). HAND may include deficits in attention, information processing, language, executive function, motor skills, memory, or sensory perception. These problems are usually not debilitating, but do have an adverse effect on the patient’s quality of life. Psychiatric symptoms such as depression and psychological distress are also common among these patients. With the National Institute of Mental Health and other NIH Institutes, NIA has participated in a funding initiative on the pathophysiology of HAND in older persons on HAART. In addition, NIA supports a study of how HIV/AIDS affects both the heart and the brain, and whether this is important for the development of cognitive impairment. These investigators, led by Dr. James Becker at the University of Pittsburgh, have used sophisticated brain imaging techniques to compare the brains of HIV-positive men undergoing HAART with those of uninfected men. They found brain atrophy in the HIV-positive men (but not in the control group) and noted that individuals who had been HIV-positive the longest had the greatest changes in the brain, in particular, in a section of the brain involved in movement and executive function. Dr. Becker postulates that a chronic, subclinical disease of small vessels in the brain underlies changes in the gray matter volume, white matter integrity, and changes in regional cerebral blood flow. The subclinical disease of small vessels in the brain continues even when the patient is undergoing treatment. The investigators also conducted imaging and cognitive examinations on individuals who had recently had an initial positive test for HIV (within the past year, on average). They identified structural changes to the brain as well as deficits on neuropsychological tests in these individuals, suggesting that brain injury may occur very early in the course of infection with HIV. Several NIA and NIH-wide initiatives support research on the medical management of HIV/AIDS in older patients. For example, NIH is currently soliciting grant applications for clinical and translational studies of HIV infection and associated conditions, treatments, and biobehavioral and social factors in older adults. The National Institute of Allergy and Infectious Diseases has provided supplemental funding to several of its Centers for AIDS Research on HIV and aging. And, a trans-NIH Coordinating Committee on HIV and Aging coordinates various scientific efforts related to HIV and aging.